myWholeLife Wins My Favourite Find This Year! 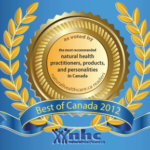 We are pleased to announce that myWholeLife won the “My Favourite Find This Year” award granted by Natural Healthcare Canada! The Best of Canada 2012 Natural Health Awards have come to be known as the “People’s Choice” awards for the natural health industry in Canada, honouring the most recommended natural health practitioners, products, and personalities in the country. myWholeLife was voted the favourite find in BC for our Blood Sugar App that was launched in October—recognizing a product or therapy discovered in 2012 that voters believe everyone should be told about. myWholeLife was also nominated for the “Health & Wellness Resource – Publication (Web or Print)” award, placing in the top 6, and the “Health & Wellness Resource – Social Media” award, placing 3rd in Canada! 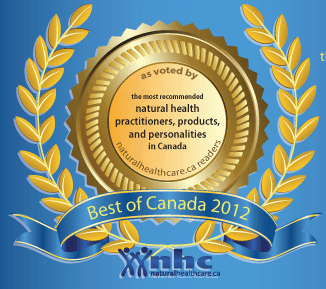 Thank you to Natural Healthcare Canada and all of our supporters for your votes!